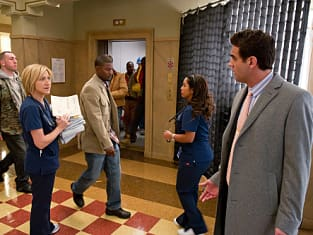 Jackie stares down Dr. Cruz in this Nurse Jackie scene. It's courtesy of the episode "Chaud & Froid." 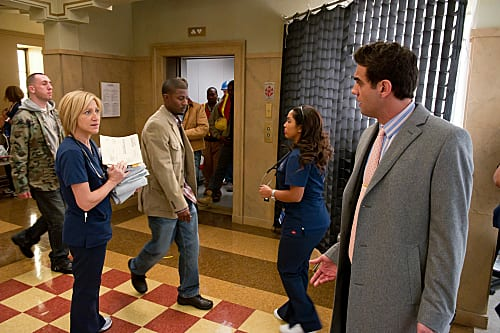 Nurse Jackie Season 4 Episode 8: "Chaud & Froid"
Did you sound even more Britishy just then? Permalink: Did you sound even more Britishy just then? What kind of fu-king character witness am i really? Fu-k a guys wife then pretend to be friends with him?